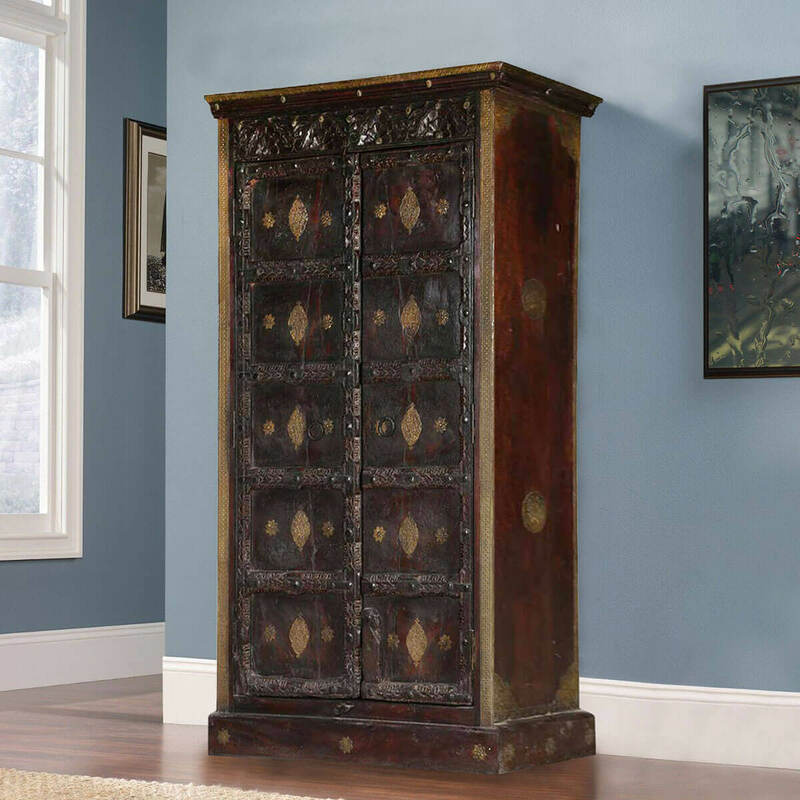 Treat yourself like royalty and enjoy lots of storage with our Shawano Solid Reclaimed Wood Brass Inlay Antique Tall Storage Cabinet. 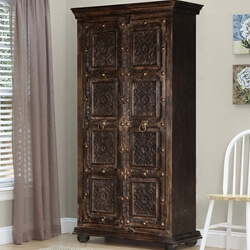 This freestanding tall storage cabinet armoire measures 71” tall and 38” wide. 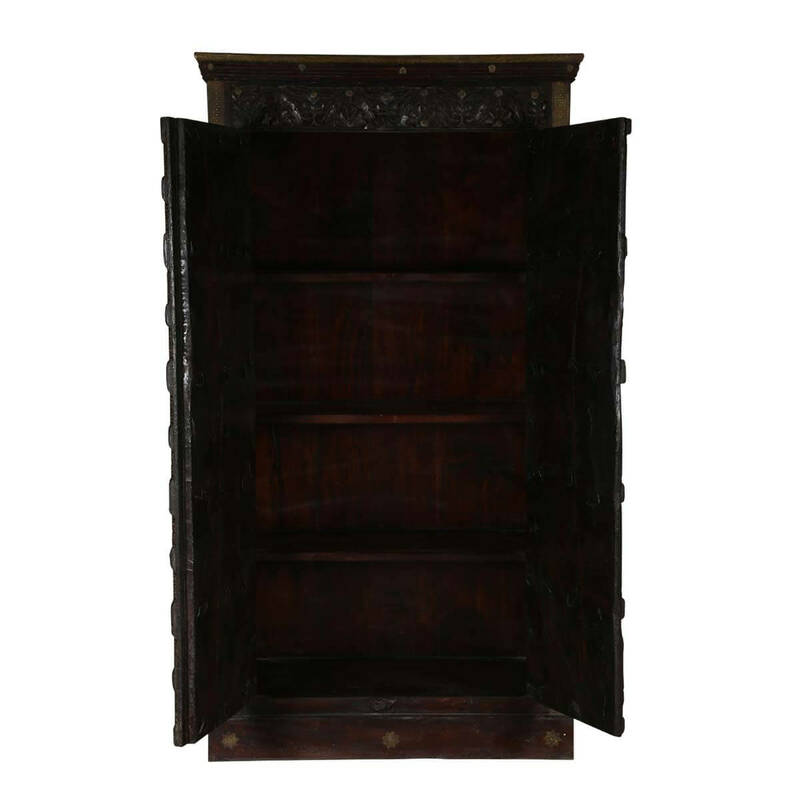 The double doors open onto a large four shelf storage area. 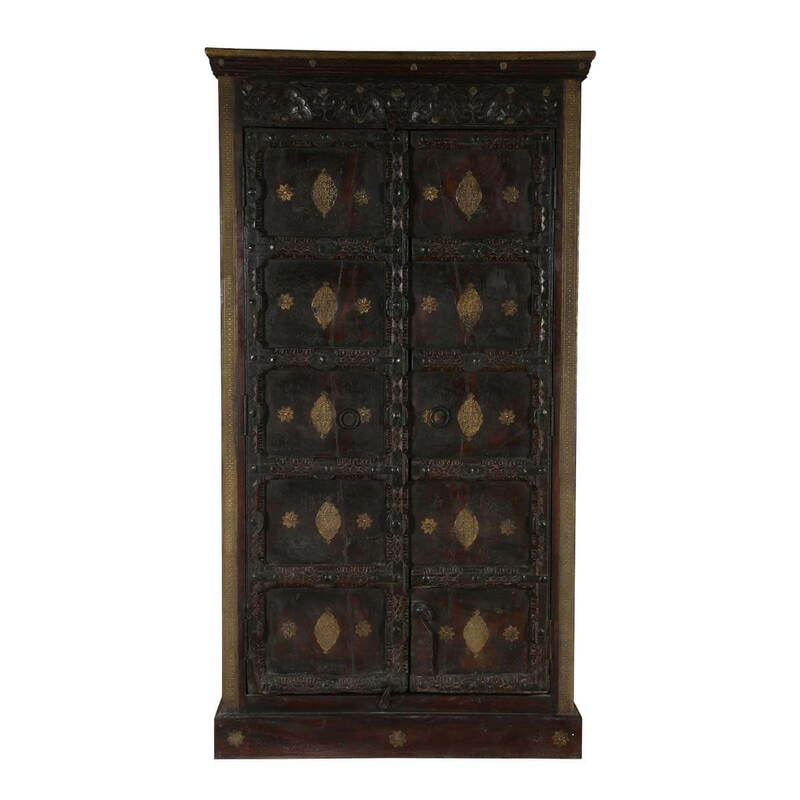 The magnificent doors are built with solid mango & reclaimed wood and feature hand placed brass inlay, and intricate hand carved details. 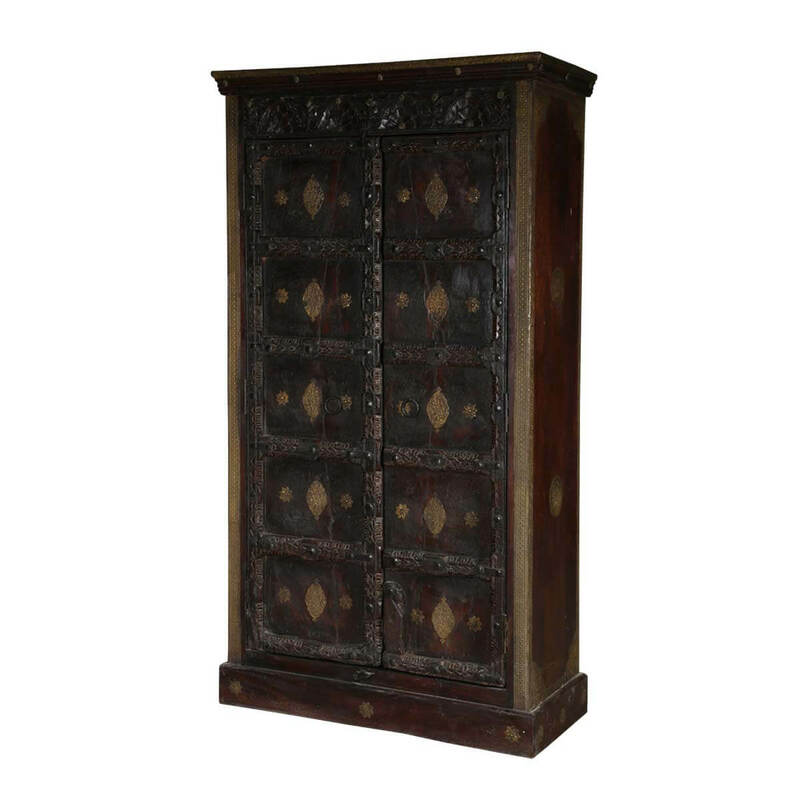 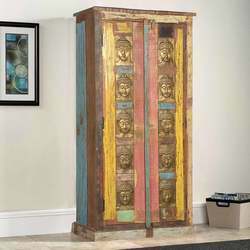 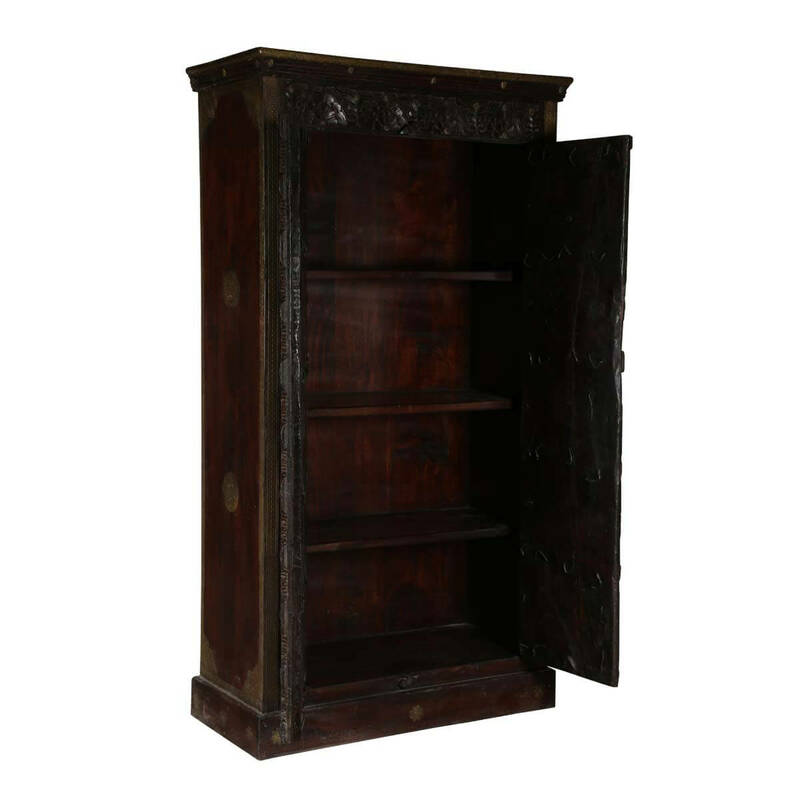 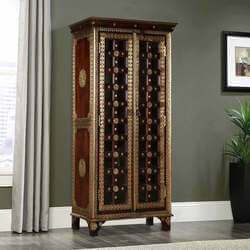 The tall cabinet stands on a base decorated with brass inlay medallions. 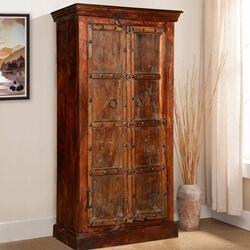 This traditional handmade tall storage cabinet is built with solid Mango wood, a tropical hardwood grown as a renewable crop and solid reclaimed wood. Note: Custom Options such as Size, Shape, Shade & Design are not applicable to this item. 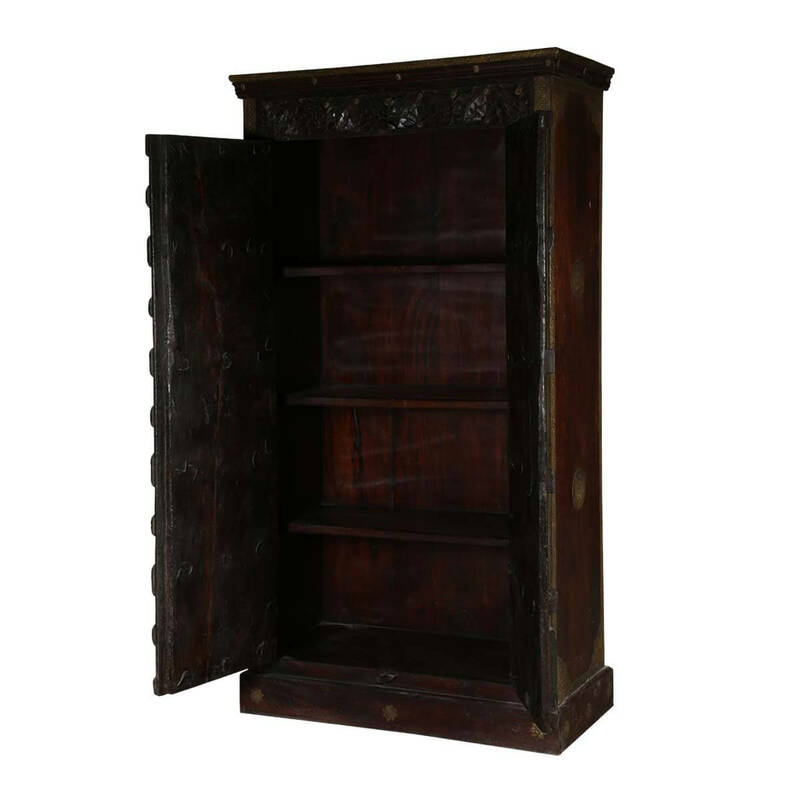 Furniture is subjected to have Slight Variations.